Today, Department of Homeland Security Secretary Janet Napolitano had one of the least-fun jobs in Washington: She had to testify at the House Judiciary Committee’s DHS oversight hearing. The Republican members of this particular committee—especially the chairman, immigration hardliner Lamar Smith—have found very little to like about the White House’s immigration policy, and, sure enough, the back-and-forth I watched today was less than cordial. But in one important respect, it was revealing. 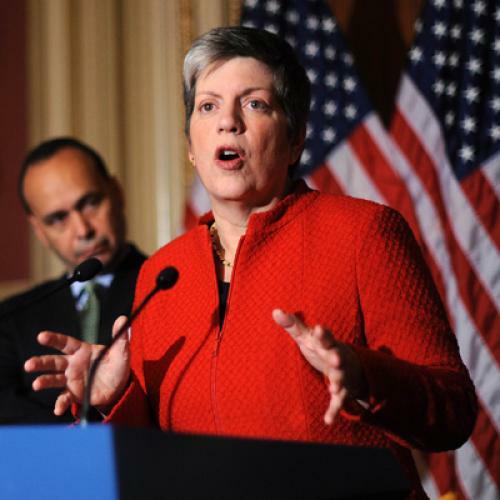 Consider Napolitano’s exchange with Republican Trey Gowdy of South Carolina. Gowdy used his time to criticize the White House’s recent DREAM directive and challenge Napolitano on the administration’s use of prosecutorial discretion—its choice to de-prioritize certain immigration cases, like those of DREAMers. Gowdy accused the administration of bypassing Congressional power and playing politics. To the latter charge, I would merely say: Duh. But the first charge is more serious, and it gets at the crucial, problematic impasse at the heart of immigration policy: As long as conservative Republicans, especially in the House, keep blocking comprehensive reform legislation, they will have to live with the resulting Congressional paralysis. Immigration policy deeply affects the lives of millions of people, and it would be a major abdication of governance for the White House to sit idly by in the face of this gridlock—especially since there was, until very recently, significant bipartisan support for a number of immigration reform measures (including the DREAM Act, a once-bipartisan bill which died in the Senate in 2010 vote despite getting well over 50 votes). That means a certain number of administrative policy changes, which by definition won’t involve Congress, are still necessary, and they’ll still be enacted. For Gowdy and his colleagues, though, that’s the first step to bedlam. Who, he demanded, would come next, now that the administration had decided to grant temporary relief (though, it should be noted, not citizenship or legal status) to DREAMers? “It may be another category of case, and then another category of cases!,” he complained to the Secretary. Well, probably not—the discretion memos so far have been rather circumscribed, and there’s no reason to think that’s going to change. But if Republicans don’t like this situation, they have only themselves to blame.